MEDIA magnate Kerry Stokes has revealed Paul Hogan wants to make a new instalment of Crocodile Dundee. At a meeting in the US, Seven network owner Mr Stokes said Qantas should remake Crocodile Dundee. "I spoke to Paul Hogan about that ... he would like to produce it now but not act in it. Pass on the mantle," Mr Stokes said. "I think there are many reasons why it could be attractive to make Crocodile Dundee again and if you get Hemsworth to play Dundee that would be pretty neat. "I think Qantas should invest in a movie like this. I think the worldwide tourism value … would be sensational." His comments comes after the NT News earlier this month started a Bring Back Dundee petition which has garnered nearly 7000 signatures. Crocodile Dundee was given centre stage in the opening remarks of Chief Minister Michael Gunner's address in Washington. "Most Americans would know the Northern Territory is the home of Uluru, the Rock, and Kakadu National Park - the setting of the Crocodile Dundee movies. And we are obviously very supportive of Tourism Australia's latest push to get more Americans to visit our great country." Margot Robbie in new Dundee movie: Margot Robbie is the latest star to join the cast of a Dundee ‘movie’. During a break in proceedings Australia's Tourism Minister Steven Ciobo told the NT News the Super Bowl TV commercials featuring a raft of Australian actors including Hugh Jackman, Chris Hemsworth and Margot Robbie had exceeded all expectations. "I was chatting to a tourism operator, who accounts for a large slice of inbound tourism into Australia, and they had had a spike in inquiries and those inquiries will translate into bookings," Mr Ciobo said. "This is just the start of a two-year campaign. "I want to congratulate the NT News on your campaign for the push on a new film. Every time you have a film and TV which showcases Australia we know it drives bookings." The operators of King's Canyon, Delaware North, co-chief executive, Jeremy Jacobs Jnr, said the Super Bowl ads had everyone talking the next day and many did not realise Crocodile Dundee was the Territory. 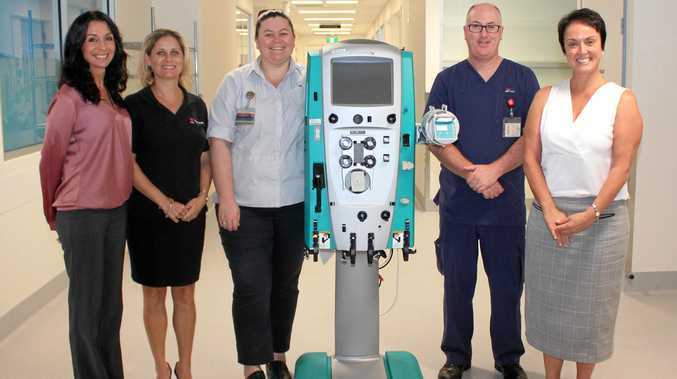 "The Crocodile Dundee adverts were a hit and that is difficult to do," Mr Jacobs said. 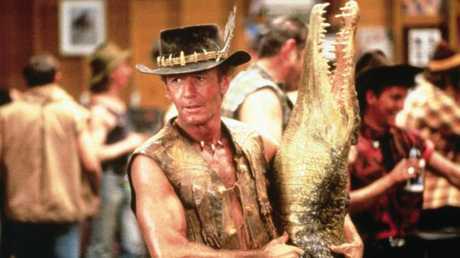 The original Crocodile Dundee: The facts behind the original movie sensation. Why do TV networks play ads at the same time?